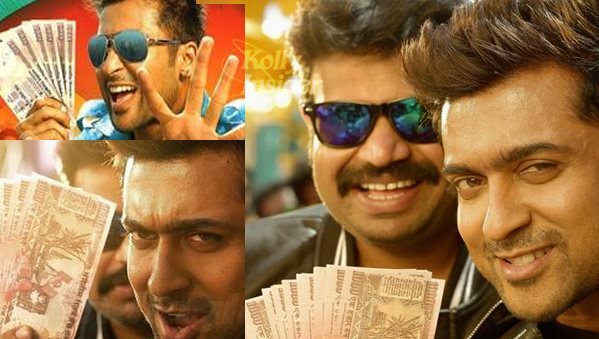 Suriya's Massu Engira Masilamani aka Masss has taken a huge opening in Chennai. The movie that released on 29th May stands only next to highest openings of the year Vikram-Shankar's I and Ajith's Gautham Menon directed Yennai Arindhaal. The Venkat Prabhu sixer ‘Massu Engira Massilamani’ has garnered appreciation from all sections of the audiences for Suriya’s spellbinding performances as Massu and Shakthi, rip roaring comedy scenes and the touching sentiments of the ghosts. The movie has collected approximately Rs. 17.30 crores in Tamilnadu during the opening weekend with major contributions from Chennai, Chengalpattu and Coimbatore territories. Directed by Venkat Prabhu featuring Suriya, Nayantara, Pranita Subhash, Masss has been screened in 381 theaters over the first weekend and collected Rs. 1.84 Cr approximately in first three days of release in Chennai alone. Studio Greens presents Yuvan Shankar Raja musical  Masss is running successfully to packed shows in the second week. With no films of major stars releasing in the coming weeks ‘Massu’ is expected to become a huge hit.